© 2014 by Hillcrest Plumbing & Heating; all rights reserved; content may not be copied, rewritten, or republished without written permission. You rely on your plumbing system to provide you with fresh water and carry away the waste. Its largely neglected in most homes, and repairs can be costly if you dont take proper care of the system. However, there are things you can do to safeguard your pipes and help them last longer. Follow these six easy tips to protect the pipes in your home. Get the Regulator. As the populations of cities grow, water companies start increasing the pressure going through the lines to meet the demand. This places additional pressure on the lines and causes fixtures to wear out prematurely. Protect the lines and faucets by having a professional install a pressure regulator on the main line. Skip the Chemicals. Dont put chemicals down your lines to prevent corrosion. Its far better to manually clear clogs using a plunger or snake. This is particularly important if you have copper pipes. Treat Yourself to Softness. Treat yourself to soft water and take some pressure off your plumbing. Hard water commonly found in the southwest and northeast areas of the country has minerals that are notorious for corroding joints and fittings. These minerals solidify also and gradually reduce the lifespan of your hot water heater in a process known as honeycombing. Watch the Tree Roots. A giant oak tree in the front yard looks great, but the roots may be breaking into your drain lines. Avoid planting willow trees near any underground water or drain lines. If the trees are already in place and you want to keep them, then consider using special treatments that will kill any roots that start to come through the pipes. Larger tree roots can be professionally removed using special equipment. Another option is to install root barriers which is a physically keep the roots from reaching the pipes. Run Fresh Water at all Fixtures. P-traps are situated below every drain. These special fixtures hold a small amount of water that serves to keep sewer gas out of the home (and a way to save your wedding ring should you drop it down the drain). If the fixture goes unused for a long period, the water evaporates out and sewer gas creeps out. A trap that sits dormant for long periods of time is also more prone to corrosion, so be sure to run fresh water through all fixtures at least once a month. Beware of Deep Freezes. Homeowners in the north and the south both need to prepare for cold weather. In warm climates where the water lines are near the surface of the ground, you must leave a faucet dripping on very cold nights when the ground will freeze. Keeping the water moving prevents it from freezing. In the north, homeowners should shut down their outside faucets and bring the hoses inside to prevent problems with freezing and breaking lines. 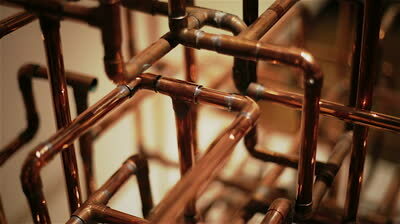 It is a good idea to insulate your pipes to reduce the chance of freezing resulting in burst pipes. Even the pipes located in heated areas can profit; what happens if the power goes out? These tips are all relatively simple to follow, and they can save you a good deal of money in repairs down the road. Use this information to protect your lines and help them last longer. In the unfortunate situation that you must hire a plumber for repairs, modification, or upgrades, it is important to hire a reliable professional. An effective approach that I recommend is to find local reviews at Angies List - Ratings, reviews and sometimes revenge. See what local homeowners say about the service companies they hire. Join now. Information credited to Hillcrest Plumbing & Heating, plumbers in Surrey, BC.